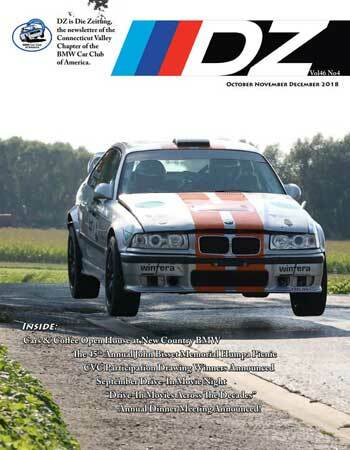 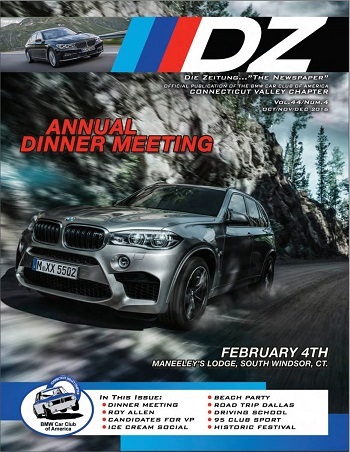 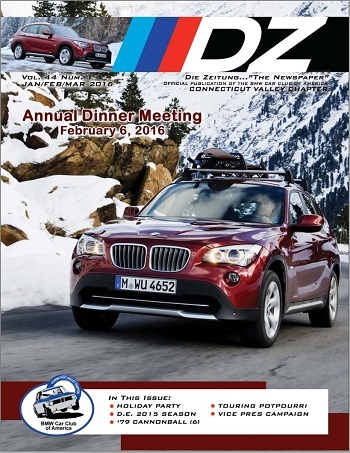 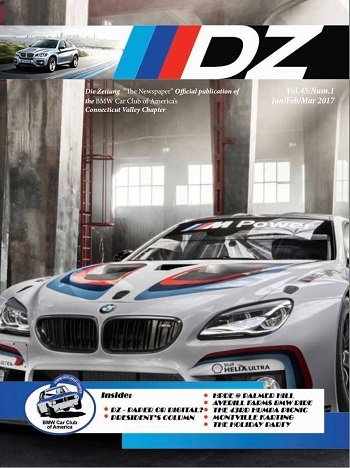 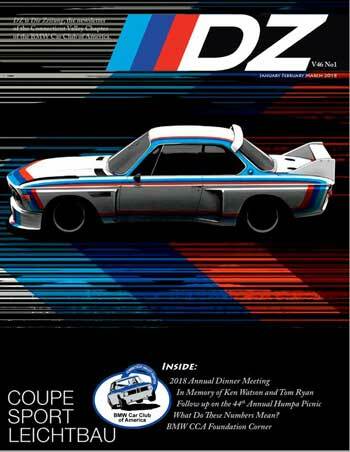 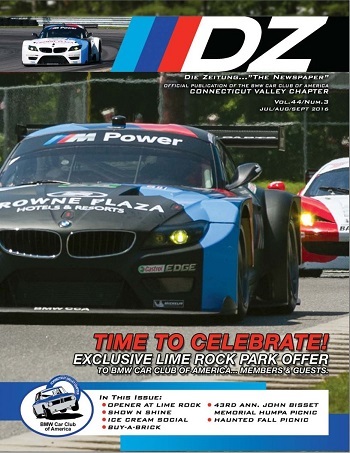 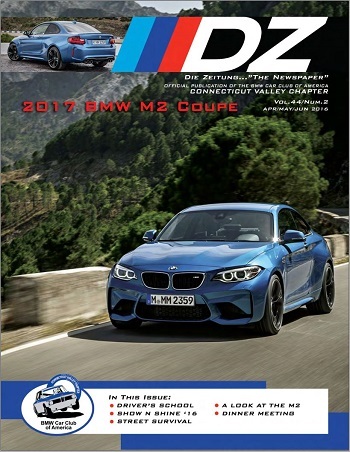 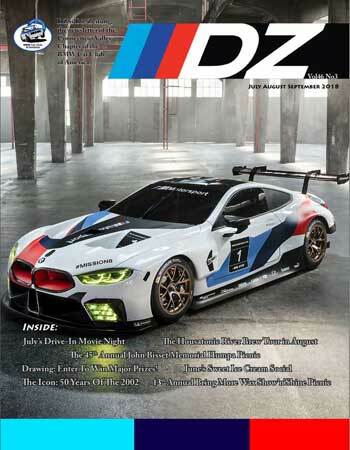 The DZ, or Die Zeitung (which translates into "the newspaper") is the newsletter published by the CT Valley Chapter of the BMWCCA. 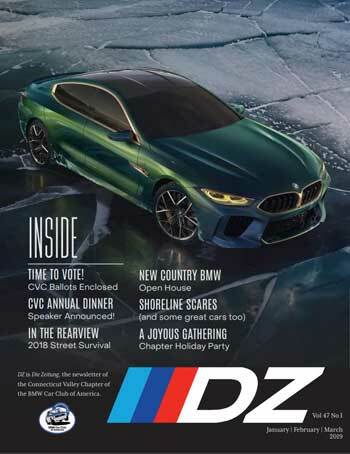 Many things can be found in the newsletter, such as upcoming events, past event summaries, how-to's, contributing sponsorship, and membership information. 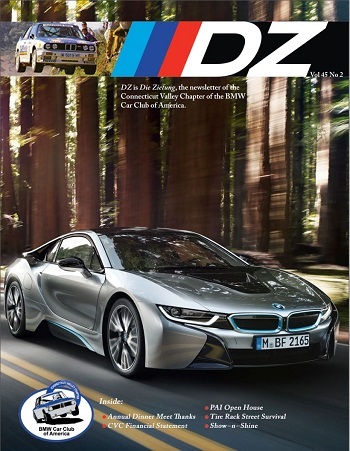 The current issue of the DZ is posted below. 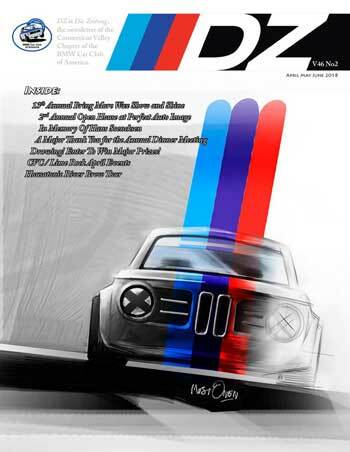 Older issues have also been organized below based on publish date.